Our contact numbers have been changed to : 603- 2181 8765. 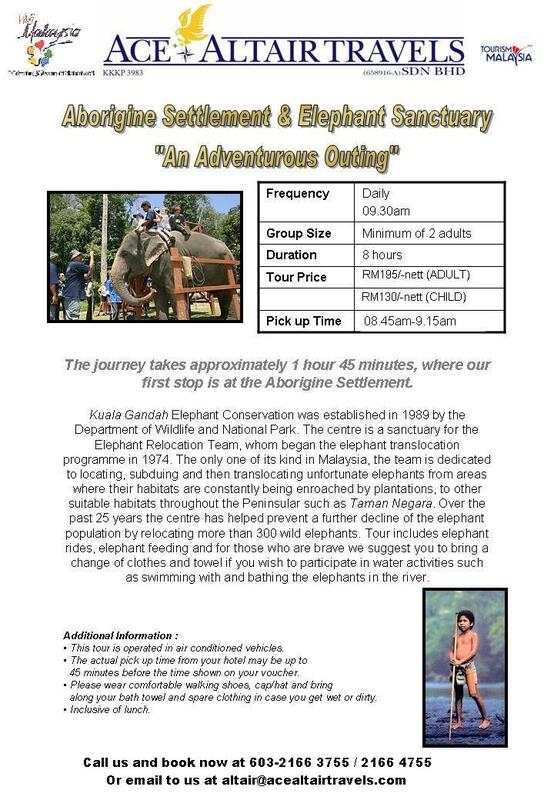 Email remains unchanged and a copy could also be forwarded to enquiry@acealtairtravels.com. Please be informed accordingly.